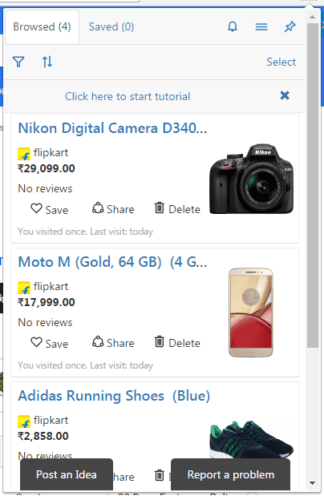 Microsoft’s Personal Shopping Assistant is a new browser extension that can make your online shopping easier than ever. It is designed to automatically capture product information from the eCommerce websites. These captured products are then saved and will be later displayed in case of price changes (or any other activity). It is very easy to use the Personal Shopping Assistant. Just add it as a chrome extension from chrome store. 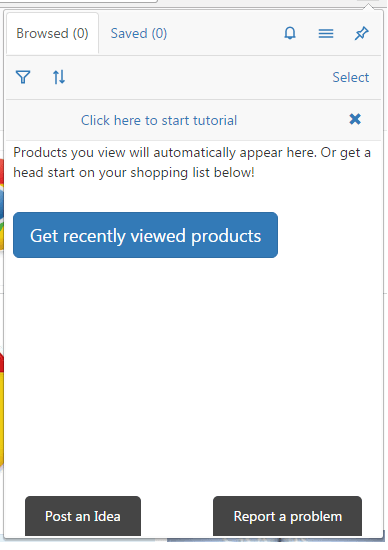 Then browse your favorite product as you usually do. These browsed products will be automatically added within the assistant. You can later browse these products within the assistant and make them your favorite. These favorite products will be saved by the Personal Shopping Assistant. Then any change in activity, like price, etc., will be notified to you. This service is available on Chrome, Opera, Edge and Android Play. Automatically adds your products within assistant. Also adds the ratings, price, and review of your favorite products. Automatically Compare the products from other e-stores within your location. Can easily organize the products. Get regular notification of price change.